If we could pick one week of the year to exemplify what it means to Live United, that week would be September 17-21. Live United Week is devoted to showing what it means to Live United. Join us in posting banners and yard signs, wearing Live United shirts, updating your marquees, or posting Live United on your building in huge letters. Share on Facebook, Twitter, and Instagram what you and your organization do to #LiveUnitedQC. Let's show how we can change lives in the community through Live United Week. 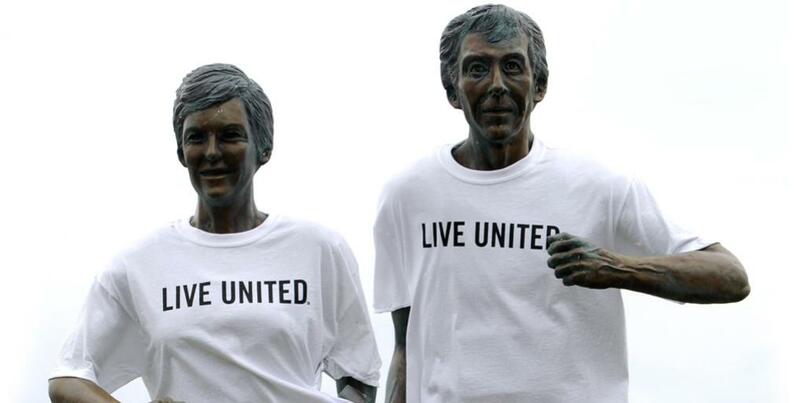 Live United Week starts with John Deere's kickoff at their world headquarters on September 17. Employees will have the opportunity to participate in games, eat lunch, learn more about United Way, and make their pledge. More than 1,500 people will volunteer throughout the Quad Cities at Day of Caring on September 20. There are 72 volunteer projects including reading to children, organizing a donation center, manning a mobile food pantry, revitalizing a playground, landscaping, and much more. Need banners, signs, or t-shirts? Contact Amy Barnett at 563.344.0328.